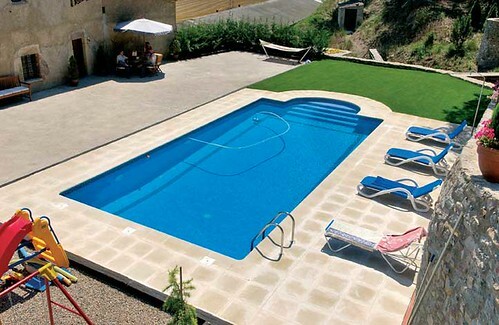 Swimming pools, definition and parts. 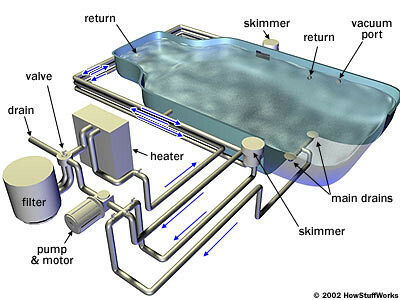 For Swimming pools , means a structure capable of containing water, which is self-regeneratednaturally or mechanically. The word comes from the Latin pool and was originally used to designate wells for freshwater fish or saltwater.It was also used to designate water tanks connected to the aqueducts. The early Christians used the word pool to designate the baptismal font. In some countries, particularly Mexico, uses the word pool, of Arab origin, rather than swimming. In others, like Argentina and Uruguay, is called sink. The physical treatment of a pool, it is mainly through water to remove all the impurities that are usually produced by the wind or the swimmers, and sometimes from their appearance "spontaneous" in the water, such as algae. We refer in general to remove all those particles like dust, plant debris, hair, dead skin cells,cosmetics number, etc … .. The importance of physical treatment is given as, if not done or done poorly, the pool will have serious problems of balance of quality, and water will spoil quickly. To do this we need a method that is economical, easy to maintain and certainly effective, both in the most favorable as those produced when the pool is used little, as they occur the most adverse, with the pool fully operational. The method used at present as the primary treatment system is FILTRATION Physical. If people choose to have a pool in your home, regardless of the type of pool, it can give you the attention, place finishes and decorations. Buy chemicals are needed to keep pools clear and free algae, such as chlorine and anti algae. Equipment such as pool covers , heaters, safes for swimming and flotation devices should not miss. Home Security: Offline And Online Hello world!